Sun Shines On Clan Charity Event. Great weather, great fundraising, great memories and raised awareness throughout the streets of Aberdeen. The Clan Landmark Walk Kicked off from the event village in the cities Westburn Park on Sunday morning. 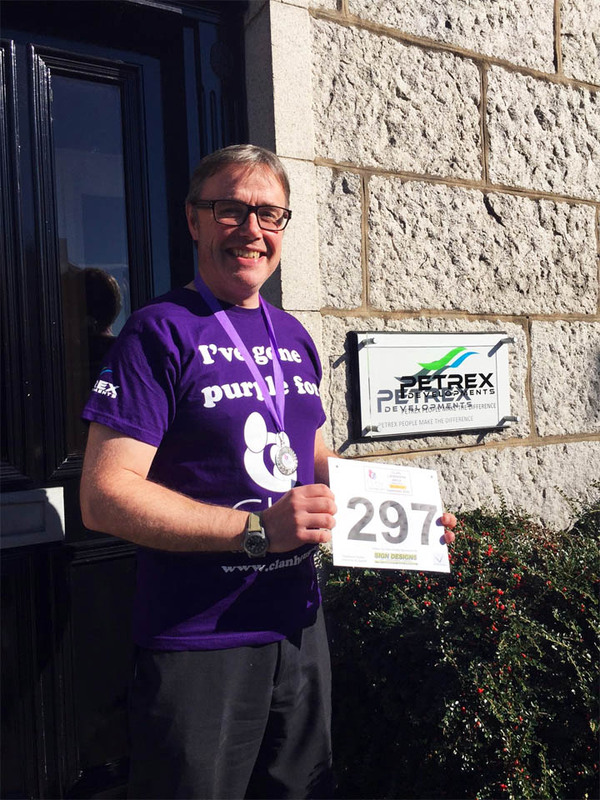 Over five hundred walkers all in matching ‘I’ve gone purple for Clan’ t-shirts took part. Clear skies, warm sunshine, refreshments and a kind word from the volunteer marshals kept everyone going along the 13 mile route’. Petrex People have supported this event over the last three years raising over a thousand pounds for this worthwhile charity and have the blisters to prove it!